Lauren is one of my dearest friends, and when I moved to Portland, I met her quite quickly. We connected and became good friends immediately as I started shooting photos for her new blog, and we quickly started bonding over life and our relationship to our (now) husbands so when she asked me to photograph her and Tucker's wedding, I could've cried. 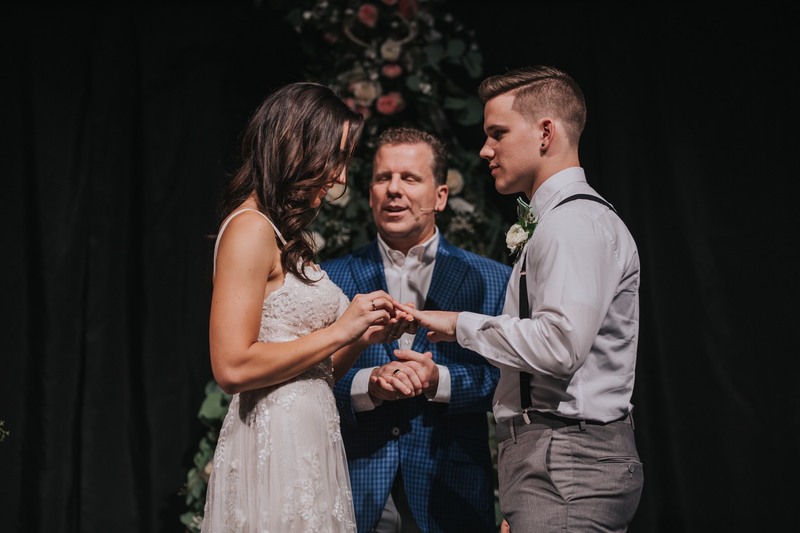 They've become such dear friends to me over the last two years and now they're living in Las Vegas in a new chapter of their lives and for the start of their marriage and I couldn't be happier for them. Their wedding day was simple and short as it doubled as their farewell party for their big move the next week. Hosted as their home church in Clackamas, it was sweet and emotional and so personal.